How many reels do you need, really? Should you have one all-encompassing reel? Or separate ones for comedy & drama? Here are some general guidelines to help you decide. Important note: All agents and managers will have their own preferences, so please ask yours if you’ve got ‘em! If you’re flying solo or they aren’t giving you clear direction, this one’s for you. If you’re on the hunt for an agent or manager, this is the time to lead with your best stuff and show range. If you’ve got lots of different types of material, cut it together into one, strong reel. The second reason you might want you have a collective version is if you only have footage from a few small projects. Maybe you’ve only had one line in a film and two lines in another. If that’s the case, go ahead and put them on one reel. Once you’ve got more than 30 seconds of tape from contrasting projects, like a horror and a broad comedy, you may want to split it up. 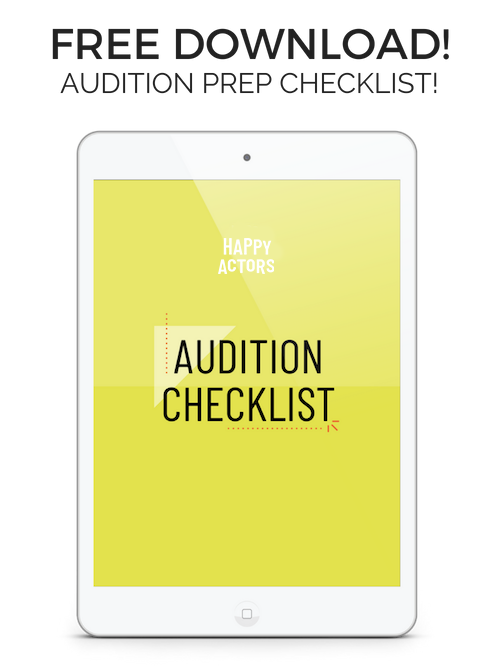 This is going to be especially helpful when you’re submitting yourself for auditions on casting sites. Have you ever clicked away from a Facebook video the second it broke to an ad? Yeah, people have zero attention span anymore. If you’ve got that comedy first and you’re submitting to a horror film, you don’t want to run the risk of the person watching your reel clicking away because you’re “not a fit.” Split it into two clips and make it easy. Once you’ve split, you’re probably safe to keep it at two separate reels for a while. This way, viewers are able to see your range within a genre and you save a little money from uploading multiple clips. IF I DON’T HAVE A COMEDY REEL? DO I NEED ONE? That depends? Are you funny? If no, then you don’t need a comedy reel. I want you to shift the focus of your marketing materials from “Let me cover all the bases!” to “Let me show them what they can count on me to deliver, consistently! Once you’ve accumulated a ton of clips AND you’ve got the cash to spend, you might consider breaking your clips into further types. Something I’ve even seen work rather well is to label the clips with the types of characters you’re playing in that clip. If you’ve got clips with this much range – go you! It can help the person who’s viewing submissions find what they need faster to have them labelled according to what they might be looking for. Learning to cut your footage together in a program like imovie is not necessarily a replacement for a professional editor. However, when you need to cut a new version together to send to an interested agent, it’s nice to be able to whip it up yourself. There are plenty of tutorials about how to do edit on Youtube. It’s highly worth a weekend of your time to learn this skill. Pinky promise.